Short positions below 1.1285 with targets at 1.1260 & 1.1245 in extension. Above 1.1285 look for further upside with 1.1300 & 1.1320 as targets. As Long as 1.1285 is resistance, look for choppy price action with a bearish bias. Short positions below 1.2885 with targets at 1.2840 & 1.2810 in extension. 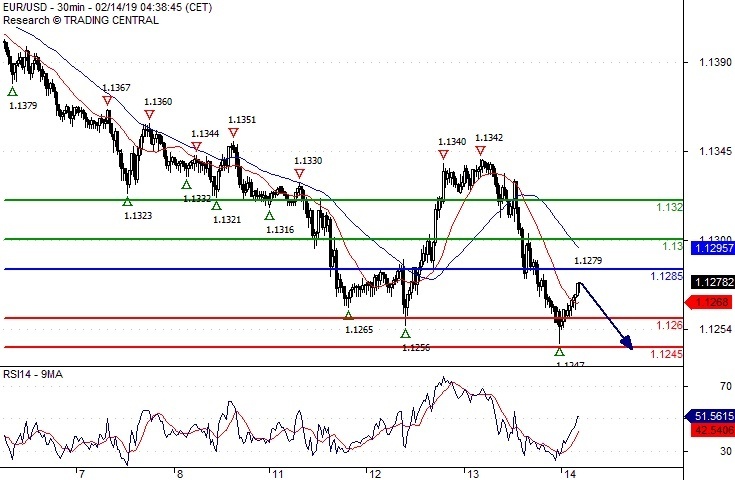 Above 1.2885 look for further upside with 1.2905 & 1.2925 as targets. 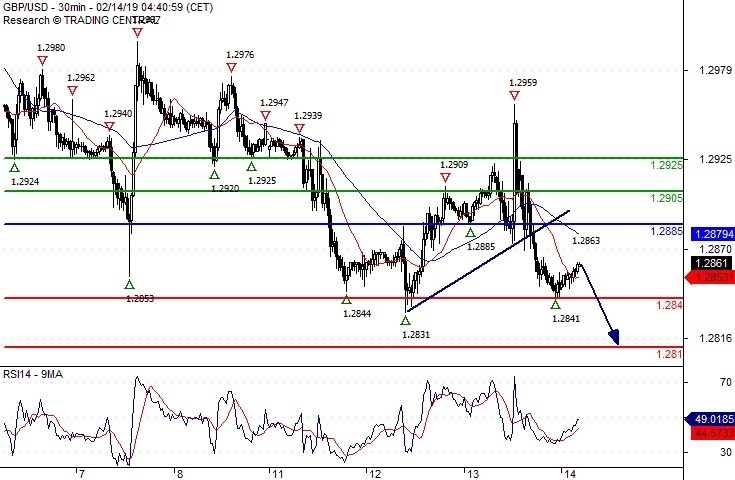 As Long as the resistance at 1.2885 is not surpassed, the risk of the break below 1.2840 remains high. Long positions above 110.85 with targets at 111.25 & 111.45 in extension. 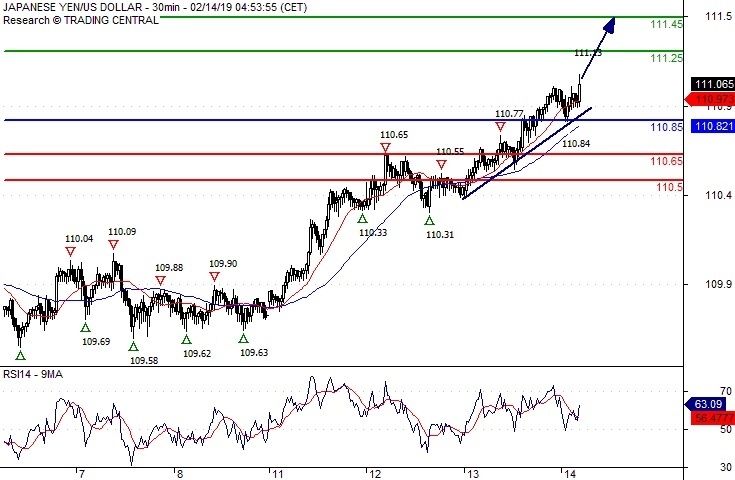 Below 110.85 look for further downside with 110.65 & 110.50 as targets. The RSI advocates for further advance. This report has been prepared by AC Markets and is solely been published for informational purposes and is not to be construed as a solicitation or an offer to buy or sell any currency or any other financial instrument. Views expressed in this report may be subject to change without prior notice and may differ or be contrary to opinions expressed by AC Markets personnel at any given time. ACM is under no obligation to update or keep current the information herein, the report should not be regarded by recipients as a substitute for the exercise of their own judgment.